You are waiting in the plush lobby of a large and reputed organisation to meet someone. As you wait you cannot but notice the Organisation’s values statement, hanging on the wall. Mounted on an elegant frame the values sound very familiar. Your familiarity soon turns into cynicism. How predictable and trite this is, you wonder. You tell yourself that you see the same phrases everywhere – integrity, boundary less, speed, trust, passion and so on. How such seemingly empty words can inspire anyone, you ask yourself. Before more scepticism sets in, your host arrives and leads you into her office. Sounds familiar? It has happened to me too. Except that my job involve helping teams in organisations articulate such value statements! So, while I am mindful of the risk of such widespread scepticism, I believe in them. Having engaged with clients in creating, clarifying and communicating organisational values over the years, I have managed to discover some simple truths about communicating values and I would like to share them with you. Values (those things that an individual or organisation considers important or values over other things) are essentially universal. The world continues to be a good place to live and work in only for that reason. Most organisations and individuals seem to consider more or less the same things as important. So, do not expect some extraordinary truths to be articulated as values. Expect them to be boringly repetitive. The values that individuals in the society abide by are not very different from those that organisations believe in. That is why individuals are attracted to organisations. It is this congruence that gives individuals the sense of harmony and makes organisations worthy of spending a significant part of their waking time. In fact, this personal validation is critical for individual to embrace organisational values. While values might be universal and boringly repetitive, the meanings that each organisation attaches to these values are unique and different. For example, while boundary less or collaboration or respect or ownership sounds universal, the meaning it takes for each organisation is likely to be different and set in its unique context. There are likely to be certain unique reasons for its choice as a value and its importance to the business and its founders. These unique meanings are not often apparent. When founders, entrepreneurs or groups of leaders or employees come together to define their values, the most natural thing for them to do is to talk about the times when the organisation and its employees did extraordinary things or did things in extraordinary ways. These founders, entrepreneurs or leaders or front-line employees are likely to relive some great moments in the organisation when magical things happened. They will share several stories and first hand experiences that illustrate these values – stories and experiences that often become part of the organisation’s folklore. So, you see, behind those seemingly clichéd words are some fascinating stories of times when the organisation was at its best – times when people chose to live by the values. As Organisations grow, founders, entrepreneurs and leaders wish that such legendary stories happen all the time. They are keen that they retain and reinforce the value system on which the organisation was built. Their intention of inculcating and communicating values is therefore noble. The question is, how do you execute this great intent? How do you help the new employee who walks into your door to understand, appreciate and live your values? Certainly not by framing your values and hanging it on your walls or making screen savers out of it. That does not really help because these employees will see it as empty words. On the other hand, if you can get them to go behind the words and discover those legendary stories, listen to the folklore and feel proud about the times when the organisation and its employees did extraordinary things by living the values, you would have inspired them to live the values too. This is what I often try to do when invited to work with Organisations and their values. Now coming back to the visitors in the office or the website. Communicating values to them is meaningless. What your customers and visitors need are first hand experiences of the fruits of those values – like great service, great products, wonderful treatment, ease of doing business and so on. That way, they can add to your folklore rather than mock at what is hanging on the wall. In a career spanning over three decades, Ganesh has come to be respected and acknowledged for his contributions as a practitioner, consultant, coach and thought leader in the field of Organisation Development, Human Resources Management and Executive Coaching. 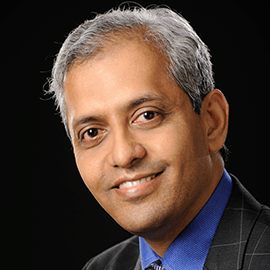 After a successful corporate career in Human Resources for 16 years (in organisations like Cadburys, TVS, Citibank and RPG), Ganesh Chella founded totus consulting in June 2000. He is the Co-Founder, Vice Chairman and Managing Director of CFI, India and Founder – Totus Consulting. He is the author of two books – “Creating a Helping Organisation – 5 engaging ways to promote employee performance growth and well – being” and “Are you ready for the corner office” and over a 100 published articles. Live and Let Live – Is CSR a myth?